Erickson Beth June 4, 2018 June 4, 2018 Comments Off on Cocky and the Beast: When Good Biz Advice Goes Very Wrong. 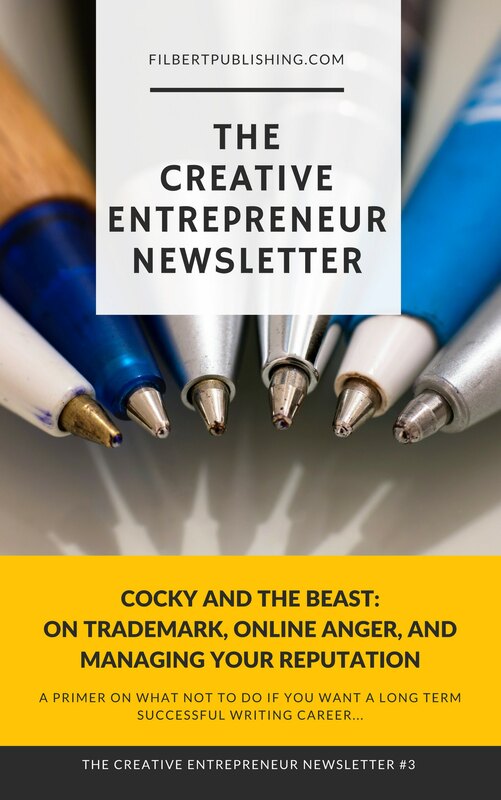 In this month’s The Creative Entrepreneur Newsletter, watch what happens when an author trademarks a relatively common word. This is a case study detailing what to do (and what to do) when readers and fellow writers object to your actions. Oy, it’s a twisted tale of broken trust, betrayal, anger, flames and worldwide coverage. This is a lesson every freelancer should ponder as they make their way through this crazy profession. It’s one thing to feel confident in your actions, it’s another to forge ahead blindly while your world begs you to reconsider. How would you handle this? Are there any authors who have handled this situation differently? What’s the best course of action? We’ll discuss these questions (and many more) in just a second. Download your copy right now by clicking the link below. You can read it as a .mobi, epub, or PDF. NOTE: If you’re already a member of the Mocha Club… THANKS! I appreciate your support! If you aern’t and want first dibs on some great freelance information, tools, tips, and techniques to get your biz humming, just join the club!